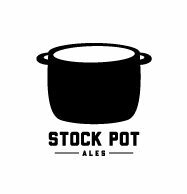 The logo for Stock Pot’s Eddie Da Veto IPA, a mainstay at The Wellington Gastropub. 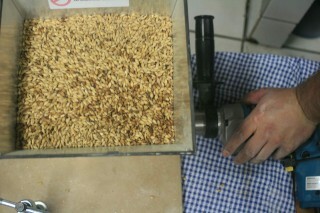 Last year, though, they started brewing all-grain batches together. “Every weekend we were brewing something,” McKinley says. “We’ve probably made 40 to 50 five-gallon batches. Overall, though, they say it wasn’t a big jump to go from homebrewing to commercial brewing at the Gastropub. Their year of working together, along with Clark’s guidance, prepared them for this step. 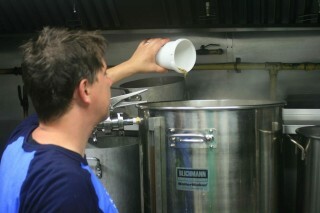 And they’re still working with small batches, moving into a small 100-litre system at the Gastropub. They initially thought they would only have to brew every other week, but since they went on tap this summer they’ve been routinely selling out. They’re now brewing every Sunday. A weird quirk in brewpub licenses restricts them from making anything above the 6.5 percent ABV mark, but they say that’s plenty of room to play with. Their Eddie Da Veto IPA and Big PAPA (peach and apricot pale ale) are the two mainstays right now, but they recently tapped a rye stout and have a few more surprises in the works. For now, though, the trio behind Stock Pot Ales is simply focusing on refining their recipes and enlivening the experience at the Gastropub.